Hebron, only a dot on the world map, but a place that is known and recognized worldwide as the center of many conflicts between Israelis and Palestinians. It is also the place where patriarch Abraham has his tomb. 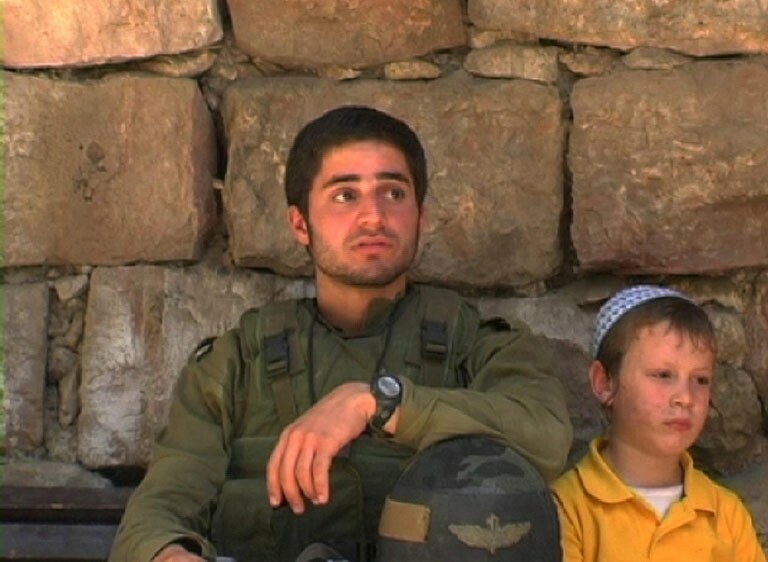 In the West Bank city of Hebron, a major holy place to both Jews and Muslims, some 800 extremist Jewish settlers live in the midst of a Palestinian population of over 120,000. For three years, Esther Hertog has been filming from within the settler community, capturing unique scenes of their real, sometimes even surreal daily life. An entire army battalion watches over the Jewish community from the city rooftops. 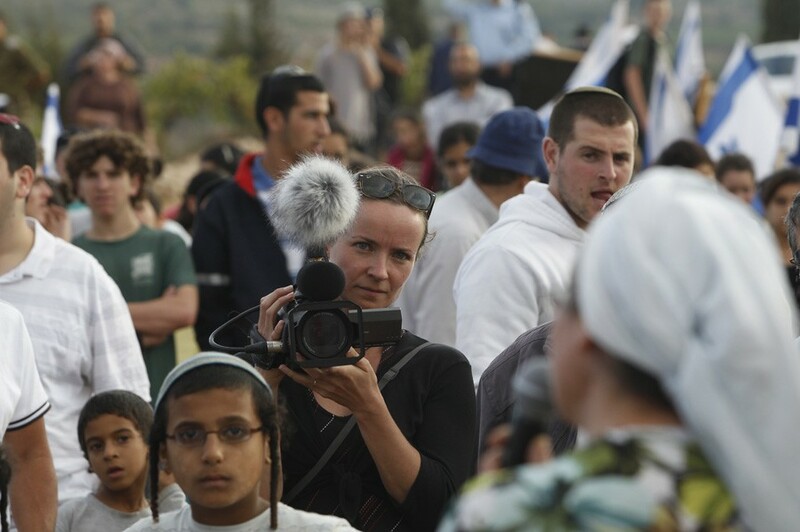 Esther Hertog, a young Israeli - Dutch filmmaker spent three years in Hebron. She observed the daily life of the settlers, which resulted in a fascinating document, the absurd mix of soldiers, ideological settlers and their children playing. 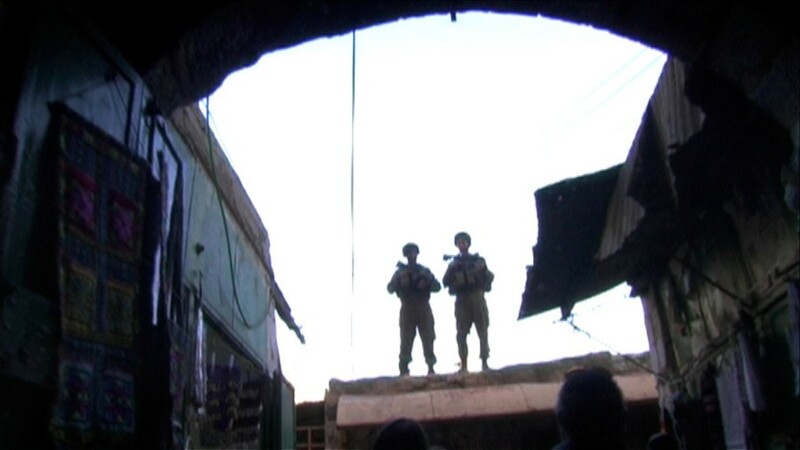 As a character driven documentary the essential narrative of 'Soldier on the Roof' depicts the filmmakers personal quest to understand the daily lives and motivations of Hebron's settlers. 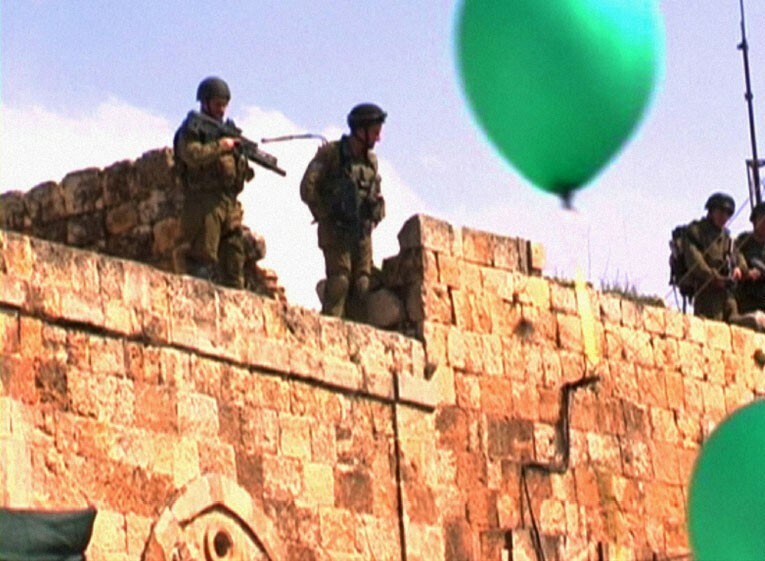 "Soldier on the roof- for its gentle and extremely thoughtful film making we give the special mention to a film which reminds us of the amazing and horrific human ability not to see." 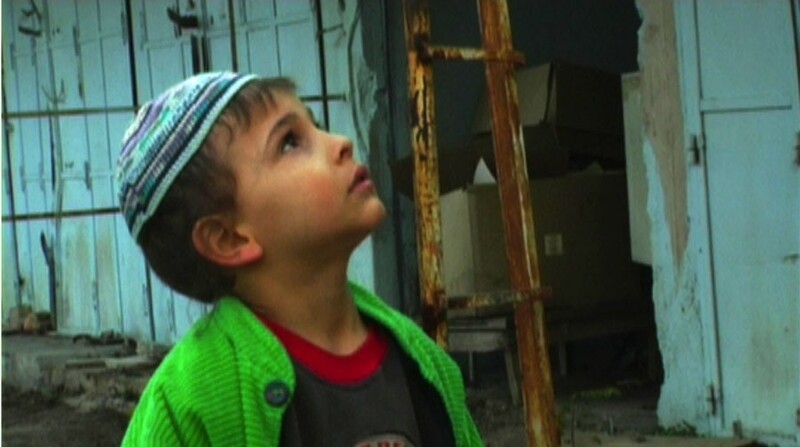 Dutch-Israeli filmmaker Esther Hertog spent three years living among the several hundred heavily guarded Jewish families of Hebron documenting their daily lives. To her credit, the fact that the story is told entirely from their perspective and that of the soldiers watching over them does not at all make it one-sided. takes a unique, seemingly innocent and lighthearted path to talk about the daily life of Jewish settlers, and their belief system, which in turn sheds light on the lives of the Palestinians surrounding them.